Many cat owners, myself included, feel guilty about keeping their cats cooped up inside the house and consider letting their cats go outside. Despite all the guilt we feel, it is far safer to keep your cat inside. Indoor cats live longer and are healthier than the average outdoor cat. 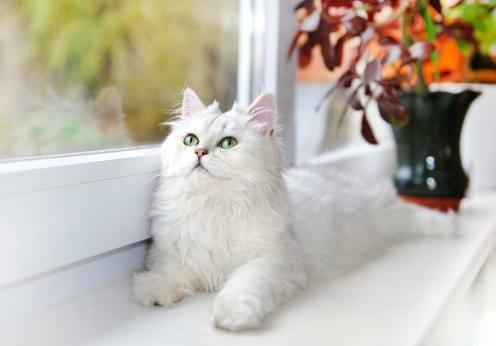 Here are some of the best reasons why you should consider keeping your cat inside, full time. 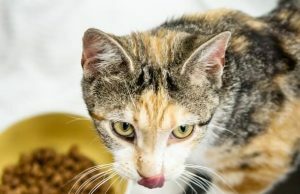 Feline Disease – Cats that go outside may come in contact with feral or other outdoor cats who may be ill. Several diseases are communicable in cats, including Feline Leukemia (FeLV), Feline AIDS (FIV), Feline Infectious Peritonitis (FIP), Feline Distemper, and Upper Respiratory Infections. Parasites – Fleas, ticks, mites, worms, and fungal infections might be caught and brought into your home. As uncomfortable as flea bites are to us, imagine how your cat feels about her infestation. Safety Concerns – Cats are not afraid of cars and are prey-minded. If a squirrel runs to the road, so does your cat. Cats will also chase pretty or just explore trees and might be too afraid to climb down. All those stories of firefighters rescuing kittens from trees had to come from somewhere. Cruelty – We can’t fathom why people would hurt animals at all but some people consider is a sport to hurt cats. An outdoor cat might be the target of a cruel attack. Other Animals – My dog loves his two kitty companions but he goes berserk for other cats. Outdoor cats must watch out for wild and domestic animal attacks. Toxins – Toxins and poisons are everywhere outside. You can control where and what you keep in your home but a wandering cat can find plenty of dangerous things to get into. If you absolutely feel your cat must experience the great outdoors, allow her in a screened sunroom or use a harness to keep her close to you. Some cat owners set up a bird feeder near the window to give their cats entertainment as well. Previous articleWhat’s with Cat Crazy Time?